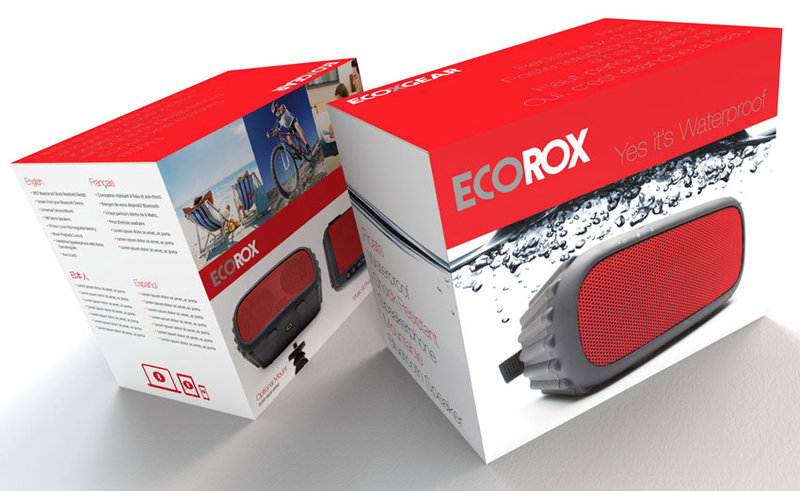 What better way to follow up a waterproof iPhone case than with a waterproof Bluetooth speaker, and Ecoxgear has provided us with their Ecorox. The Ecorox is similar to last year’s ECOXBT, but significantly smaller and there are more buttons. On board controls now consist of power, sync, volume up/down, track forward/back, and pause/answer because like most Bluetooth speakers on the market now, the Ecorox also doubles as a speakerphone. 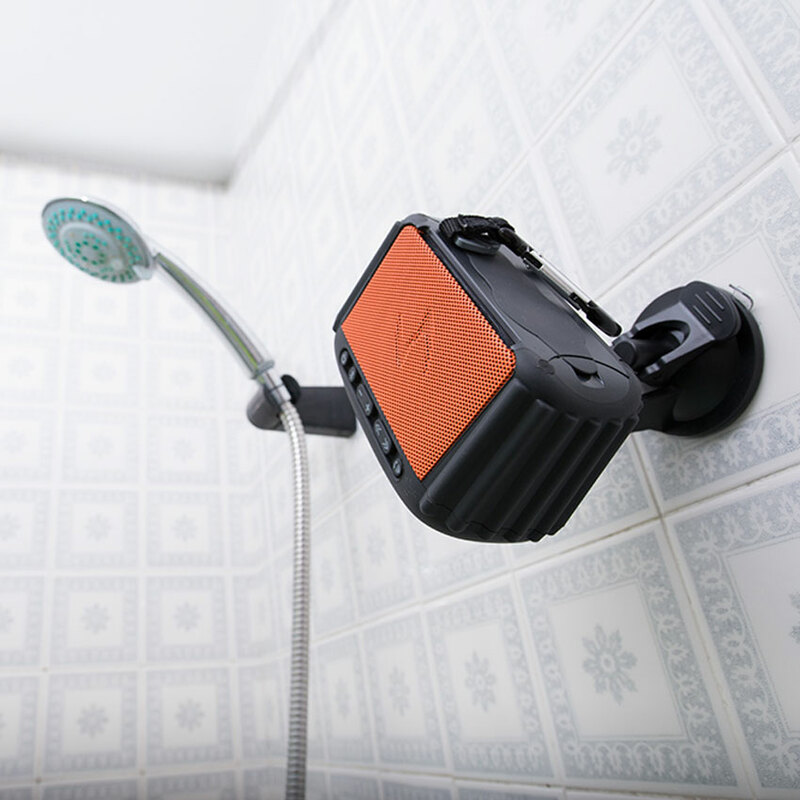 Like the previous model, this miniature beast is both shock resistant and waterproof, allowing it to float and be used in the shower while the streaming media device stays dry. 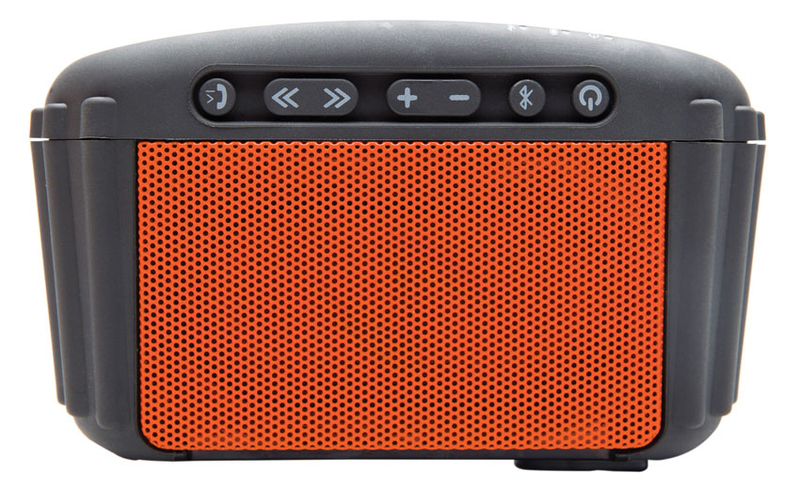 In comparison to the previously reviewed ECOXBT, I love the new smaller size and the additional controls given to the powerful little go everywhere (literally) wireless speaker. The smaller size makes having a camera mount screw post even better and it goes great with just about any of Joby’s Gorillapod’s for adjustable mounting angles and magnetic feet. I have really only used this speaker in the shower mounted to shower curtain and on the patio to the side of the beer fridge providing both my patio and bathroom with clear sound at about 70% percent volume. The top facing bass radiators add some additional depth, similar to that of the larger speakers, but I tend to be be more of a fan of the bottom or rear facing radiators. The were a couple things I noticed during use not to do. 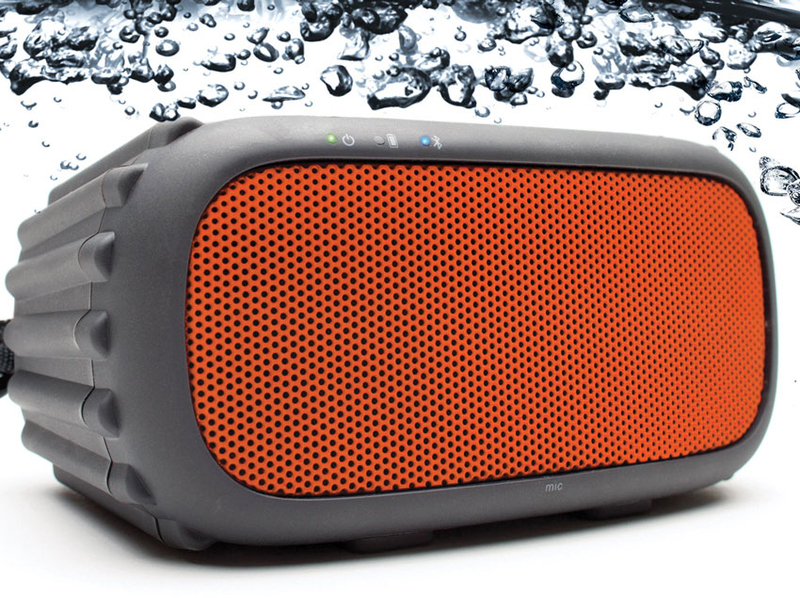 The first would be allowing the speaker to float, and maybe I was just spoiled with the ECOXBT, but the speaker is forward facing, so it is hard to hear when the front is submerged. My solution was just resting poolside as it can take both a bath and a beating. The other lesson learned was that there is a volume threshold and it isn’t full blast. The Ecorox sounds great up to about three quarter volume, but anymore than that and I would get a noise that was a toss up between the speaker grill rattling and distortion. 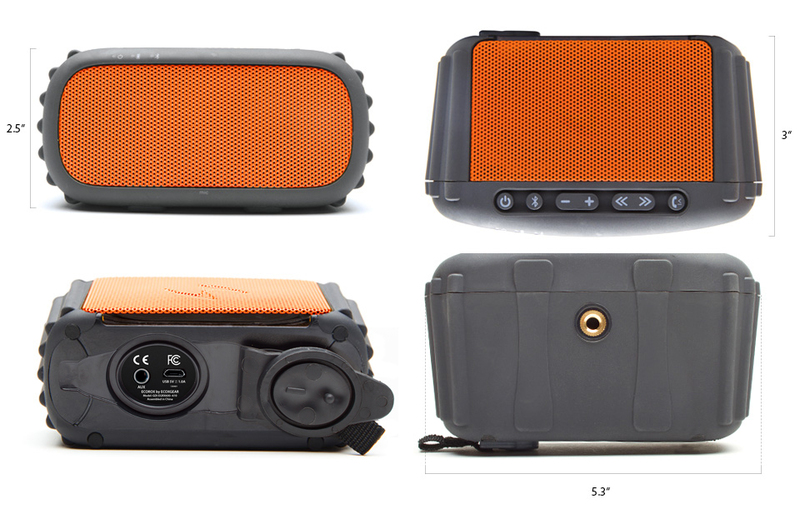 The ECOROX is an amazing little speaker, the size is incredibly portable and can take just about any abuse you can throw at it. Sure, the ECOXBT felt more comfortable floating in the pool, I gladly sacrifice that for portability and threaded camera stand mount. In terms of the amount of sound you can expect to get, it will easily fill a room with sound, even with the shower running in the bathroom, but on the patio it got harder to hear if I got more than ten feet away. The ECOROX is available now for the price of $129.99 and I would highly suggest getting a mount for it as well, mine is never without it.